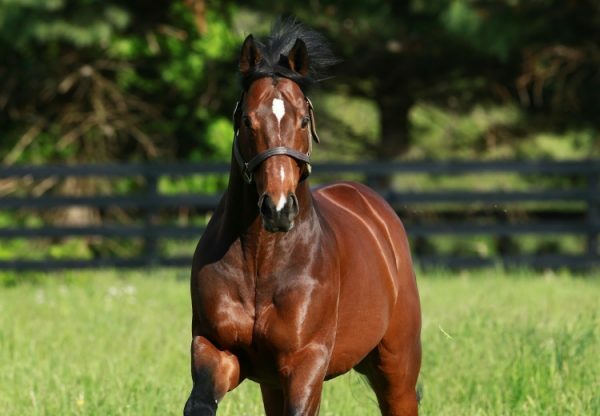 Outstanding performer Accelerate (5h Lookin at Lucky x Issues, by Awesome Again) continued his run of hot form this year posting his third consecutive Grade I victory in the $300,345 Grade I Awesome Again Stakes at Santa Anita on Saturday. 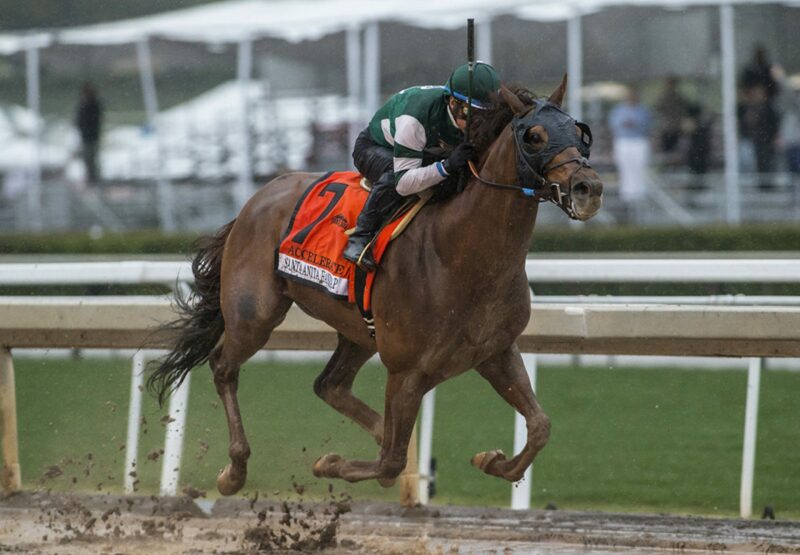 Accelerate has been dominating the California handicap division and took this “Win and You’re In” event for the Grade I Breeders’ Cup Classic by a comfortable two and a quarter lengths despite breaking slowly from the gate. "He wasn't very good in the gate, didn't stand very well, and that's probably my fault. 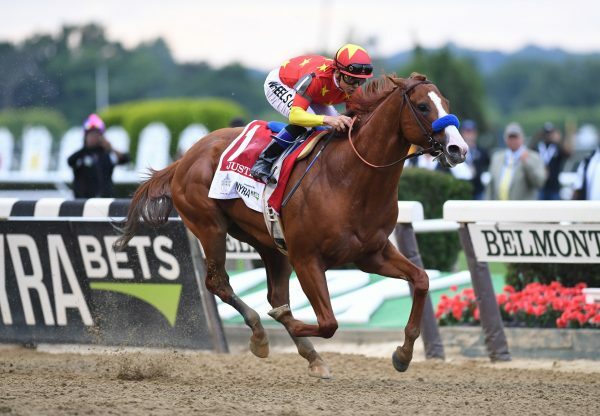 He kind of missed the break," said winning trainer John Sadler. "I should have taken him one more time to the gate to stand. But he overcame it, got a nice, clean trip, and the best horse prevailed today." 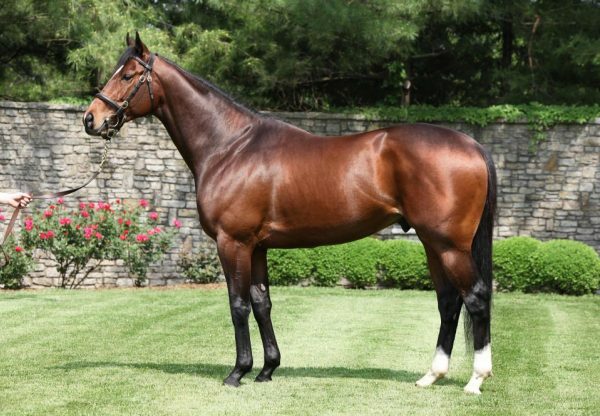 The victory took his overall record to nine wins and 10 placings from 21 starts earning over $2.4 million.